I Hate Dora the Explorer - Have you seen the Dora Games? Okay perhaps “hate” is a bit strong… but for some reason the show really, really annoys me. Am I alone in this? It’s something abut the way she shouts demands and just stares at you waiting for an answer? I try to not to answer and out-stare her, but she always wins. And it’s not just me, when our daughter was 2 years old she couldn’t look away, either. Dora is like crack for toddlers! Now I’m not saying that I want Dora to get lost. Well… okay, that kind of is what I’m saying. How about this… what if I could arrange for Barney the Dinosaur to get lost with her so she’d have company? makes me NUTS and I do not even watch that show. Good point, Danielle. With a PhD in Audiology you should know, too. Every night before bed I read books to our wee girl, and I do go out of my way to pronounce words correctly and clearly. Thanks so much for dropping by. Have a great Wednesday! can I say that when visiting, I DIDN’T CARE FOR THIS SHOW.I have to admit that even though I’m a gramie, I DID ENJOY SOME OF THE OTHER PROGRAMS FOR CHILDREN. In loving little Molly, I guess we might just break down and watch Dora.Do you think we can sabotage this program? Yes, I quite enjoy some of the other programs like Maurice Sendak’s “Little Bear”. It’s very sweet and old fashioned. I’m not saying I don’t like any of the new CGI and motion capture kids’ shows, e.g. “The Backyardigans” and “Sid the Science Kid”, but I really don’t much care for Dora. As for sabotaging her program, if I can just get my hands on that map maybe she’d get lost? 😉 Have a great day! Dora doesn’t bother me too bad. There are much worse/weirder shows out there like In The Night Garden and Waybalu. They are both just plain weird. I get the songs from so many of them stuck in my head & they are pretty much impossible to get out. I walk around at work humming the Toopy & Binoo song. AAAAAGGGGHHHH!!!! Hi, Merry. Being down here in the U.S. I don’t think we have access to the same BBC programs that you might in Canada. BBC America has a select set of UK programming, but shows like In The Night Garden and Waybaloo aren’t among them. Does Canada have access to the BBC channels proper? Back here in the States we have to wait for even the programs we do have access to (e.g. Doctor Who) for several weeks after it first airs in the UK. On the worse/weirder front check out my blog on “What Scared You as a Child?” The CGI program I mention (and picture) at the start of that blog is about as weird a kids program as I’d care to see. We watched Dora for a total of maybe four days. It’s the same annoying songs (map song included) *every* day. Same story basically. So we switched to Sesame Street, which I *LOVE*. Yes. Sesame street is what Molly watches in the morning on PBS. I also discovered I can stream Fragile Rock on Netflix to our TV, so that’s very cool and retro, too. I am sooooo glad my children are past that stage. My oldest daughter came of age with Barney of the “I Love You” fame. I wanted to jab a leaky pen into my ear every time that show came on. And my younger three grew up watching the Teletubbies, what kind of insanity is that? Now, of course, I’m stuck with the oh~my~gosh~are~they~allowed~to~show~that~on~TV antics of Degrassi and their ilk. OMG… I feel so lucky to have (mostly) missed Barney. He is still on PBS here after Elmo (who our daughter adores), but I change channel fast. Oh, and I find knitting needles slightly more effective in the ears when the Barney “I Love You” song starts. Enjoy the rest of your weekend. Fortunately there are many good programs available on PBS and DVD, plus we have Netflix we can stream via the Internet to the TV, so I can usually suggest an alternative if turning the TV off (the best alternative) isn’t an option. Have a great Sunday! Check out, “Conquistadora” on youtube. Could be worse, though.. could be Caillou *shudder*. Comment from the other side: I like Dora and frankly all the Spanish I know is from watching Dora. There is a method to the madness, Dora looks at the kids and speaks loudly and the kids think she is talking just to them. It works, the kids love her. They all outgrow her, but they love her for those few golden years. And you may laugh at the map song but there is a generation of kids who will actually understand how to use a map because of Dora. Be nice to Dora! LOL. I stand thoroughly admonished. I learned three (non-English) languages as a kid growing up in Europe, but must confess some of my non-restaurant Spanish comes from Dora, as well. And I can’t argue she’s a hit with kids… didn’t I say she was like crack for toddlers? As for the map… hmmm… I’m pretty sure any dad worth his salt can do a better job communicating that skill. I will however stop encouraging she lose the map and get lost. DTE is garbage, and I would not let my children watch it… It is far better to teach kids the American culture. While I’ve no issues with my child learning about other cultures and languages, I do feel Dora is not the best vehicle for doing so. I’m a born and bred U.S. citizen and speak 4 languages (not all fluently). “Saying it two ways” as Dora suggests is not an effective way to learn another language. That said, my issues are more with the fingernails on chalkboard type of effect she has on me. 😉 Thanks for your input. I was not a fan of Dora. I noticed the shouting almost immediately and couldn’t understand why everything had to be so loud. Blue didn’t shout. Toopy & Binoo didn’t shout. Thomas didn’t shout. Henry’s Bucket of Dinosaurs didn’t shout. What is it about this adventurous little girl that made her squeal at everything? Fortunately, we’re past that stage now. My son, though, believed he was fluent in Spanish, thank to Dora. LOL. Yes, there are many other shows that don’t adopt the Dora style of demanding interaction from their audience. I’m a fan of shows like “Little Bear” (the books upon which it is based were drawn by Maurice Sendak, best known for his book Where the Wild Things Are). At least my daughter isn’t a Barney the Dinosaur fan. That would have likely pushed me over the edge. Dora can be grating, though I like to think about SNL’s Dora Parody (http://www.hulu.com/#!watch/1610) whenever DTE comes on at our house, it helps break the terror. Caillou, The Wiggles and Barney have long been the bane of my existence. Sometimes anything that gets your child’s undivided attention is a godsend… Without Peppa Pig and Dora the Explorer to distract my kids I would find it very hard to get dinner on the table some days. Not a Dora fan. I always feel like I need to look away during those long awkward pauses. Like Dora’s eyes are boring into my soul. We’re a Disney family, so thankfully Dora has been a rarity in my house. Although this crazy new Kate & Mim-Mim thing they’re doing has me white-knuckling through part of my day. I guess I’ve been spared the “Kate and Mim-Mim” thing? Hang in there! Dora didn’t get to me terribly badly (our kids are teenagers now), but the Teletubbies and Caillou were banned from our house! I don’t blame you about banning those. Never quite “got” Teletubbies, and that Caillou was such a whiner… I mean he spoke in a whiny voice all the time? Hey Michael.. Was going through the comments on your post and realized how similar all our boats are – dads with daughters.. Dora, Peppa Pig, Max and Ruby, Cinderalla, Beauty and Beast, Frozen, Spiderman, Youtube weird videos of Frozen+Spiderman .. God knows what’s next! Perhaps I doth protest too much? Thanks for dropping by my humble home on the web. I’ve visited your blog, btw, and hope that you will keep it up. Time passes fast, and some of these memories will slip away as new ones crowd your brain. Great job! Good Afternoon, I was browsing through your pets that you have for adoption and I fell in love with Gonzo French Bulldog/Staffordshire Bull Terrier Mix: in Greenbelt, MD. I have always wanted a Frenchy, but never was able to afford a pure bread. And how much better is it to save a pet who needs a home. I recently moved to Baltimore area. I live in Glen Burnie and work in Hanover MD. I am not sure if you know where that is. Currently I have an Himalayan his name I Bentley and he will be 4 next month. He loves dogs and is lonely. We use to live in Wilmington NC and his best friend was a dog her name was Angel. Unfortunately I had to relocate with my company and move away from our family. Hi Karen. While I very much appreciate your post… and your love of dogs, I believe you may have gotten the wrong website. This blog by a new daddy is about life, parenthood and the pursuit of sleep. As our subtitle (is that the right word) says, this is not your Mommy’s blog. “A Daddy Blog” targets parenthood from the father’s perspective, and includes a focus the modern dad, social media, technology, entertainment, coffee, cars & cuddles. 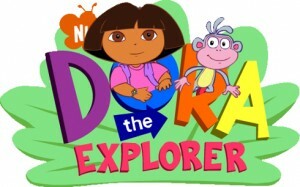 ツ Oh, and I sometimes write about my deep and abiding love of Dora the Explorer. Have a super day!